This year’s futures campaign started off so hopeful, with prices drastically lower than in the previous years. Latour released at 45% below 2007, Mouton at -50% (for more details see my previous postings). But things started to change when Robert Parker decides that 2008 is a Grand Year. From that moment on the price drops are less spectacular, and the best wines even release at 2007 price level, e.g. Buy-of-the-Year Pontet-Canet. The wine sells out immediately and a second tranche follows, of course at a higher price. This more or less marked the end of the truly spectacular releases. Especially the Right Bank wines start releasing now at relatively high price levels. But since this - short - week it seems that we are returning to Business As Usual, I’m afraid. The first sign is the release of Ducru-Beaucaillou at the end of last week, with good ratings, priced 20% above the 2007. A striking release, well-timed close to the end of the campaign, when everybody is waiting for those few Unreleaseds. For the Left Bank Léoville-las-Cases was the other Big Unreleased, and this wine stepped forward yesterday. Other than expected it slightly decreases its price, with a lousy 11%, but in the light of the recent developments a rather friendly price. The second château presenting its price yesterday was Cheval Blanc. And despite a price drop of about 20%, to me this wine still is much too expensive: with 300 euros ex. (from négociant) and about 400 euros inc. (consumer price) it releases at more (much more) than twice the price of its Left Bank premier cru neighbours. A crazy price, and I can only explain the difference with the Left Bankers by reasoning that Cheval Blanc wants its price to be close, and as close as possible, to Ausone. And why actually, with the enormous difference in available quantities for these two wines? But today my shock is complete: Lafite is proposing a second tranche, exploring demand at the price of... 300 euros as well! Following a first tranche at - just - 130 euro (to compare: the second tranche of Château Margaux last week was at a 'friendly' 155 euros). Unbelievable this new price, and perhaps even a little sick. But then again, if the market absorbs these wines... and yes... my naive Why? at the end of the last paragraph might also be answered today: Cheval Blanc seems to be selling! Apparently greed is back. At the side of the seller, but as it seems also at the side of the buyer. Too bad that it - greed I mean - had only been gone for such a short period of time... Or am I being too pessimistic now? I really hope so. Unfortunately true. But yet there are some interesting picks this year. 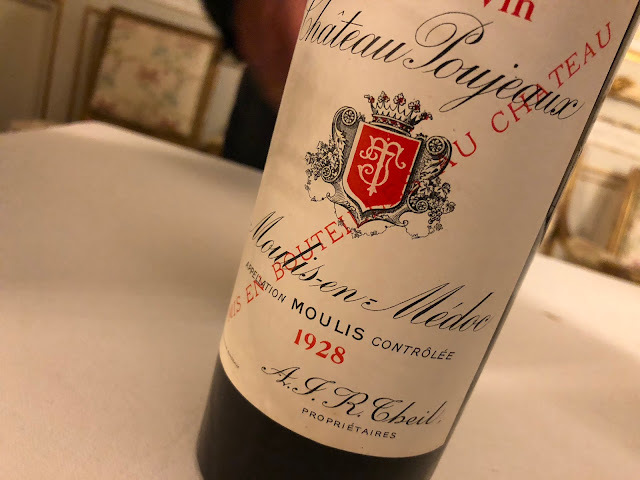 Update to my last posting: now that Cheval Blanc has been out for a few days, the wine isn't really selling any more, and the négociants are now offering it below the initial 300. Same is happening to Lafite (but to a lesser extent). One other reason for Lafite to have presented a 2nd tranche at 300 is that in London the wine was being resold at very high prices. Also a sad thing, these secondary markets... but I guess that's how capitalism works.